If you want to go green, one of the ways is to make an eco-friendly interior design that will be absolutely recyclable and also unharmful. 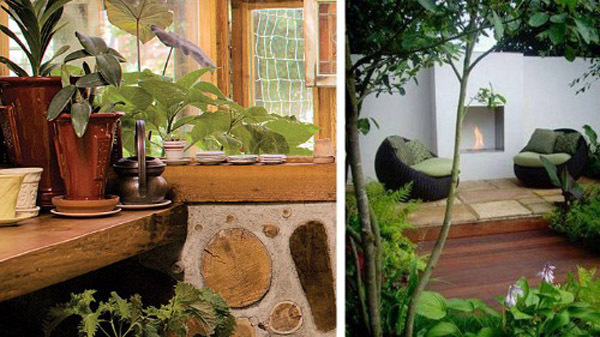 When you get tired of polluted environment the home is your ultimate getaway so why not create an eco-friendly interior design that will not harm your health in any way and won’t harm environment when some of its contents get discarded? 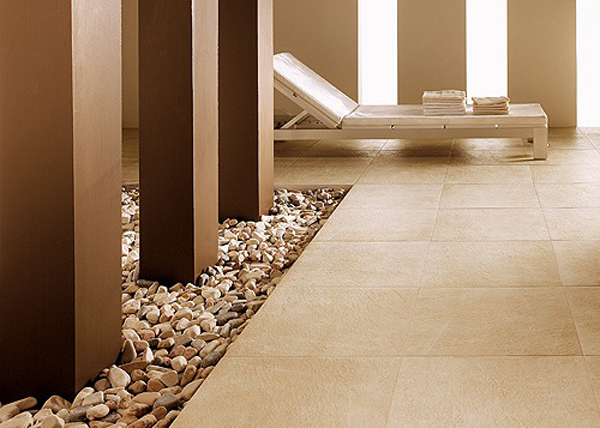 In order to create an eco-friendly interior design the natural and organic materials must be used. Ditch particleboard, chromed metal, and plastic. You might spend more money on creating an eco-friednly interior design but the natural materials are also very durable and always good. 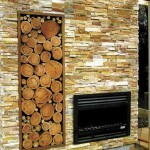 Eco-friendly wall coverings and paint as well as river rocks used as wall covering will help you decorate the walls. 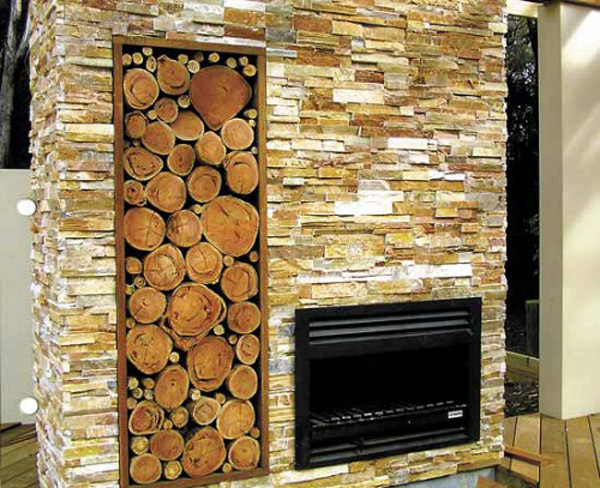 The walls can also be covered with wood panels, ceramic tile or cork. 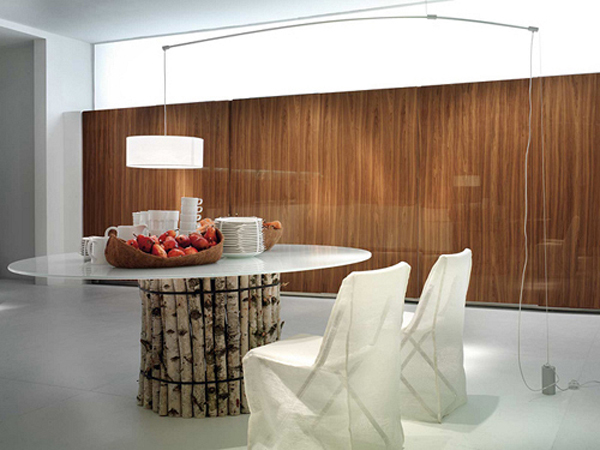 For ceiling opt for wood panels or beams combined with whitewashed or suspended ceiling. 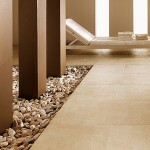 As for the flooring, it can be done in stone or wooden parquet made from European woods, bamboo or cork. 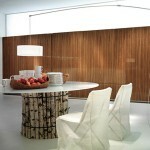 The combination of lighter and darker woods can give an opportunity to play with the shades and make patterns. Naturally your furniture should be made of natural woods. The chairs and tables made of wood blocks and stone table tops from natural stone or marble can also add a touch of wilderness to your home. Pure nature around is almost impossible unless you are ready to give up all of the technology but even choosing among the hi-tech items look for less harmful like bioethanol fireplaces as well as use these tips on how to go green. Interior accessories should also be eco-friendly especially because they get discarded more often than the wall or floor coverings and furniture. Glass or clay vases, rocks, wicker baskets, old chests and dry leaves and tree branches from your yard can be a great addition to your home decor. 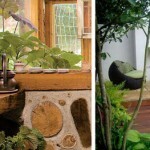 Recycling old furniture made of natural materials is also a good budget-saving idea. 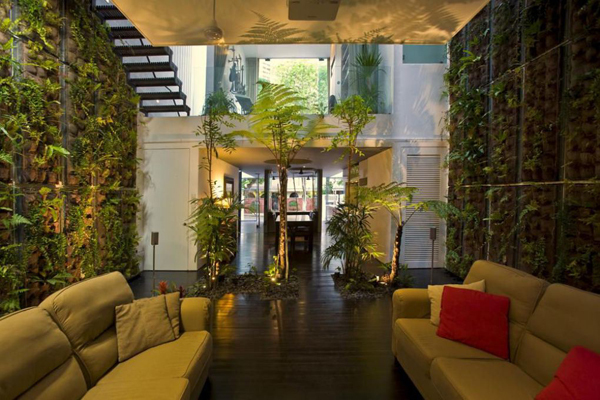 Well, it’s obvious that plants are the part of nature so surrounding yourself with ones will also add up to your eco-friendly interior design. Be sure, though, you have enough time to look after them and if not then buy low-maintenance plants. Great lounge. It definitely looks like the outdoors has come inside! Keep up the good posts- great work. 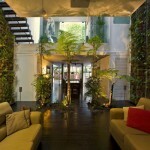 Very cool article and great ideas about eco-friendly design.